Organized Jewish life was relatively late in coming to Oklahoma. Originally settled as Indian Territory, Oklahoma became the home of thirty different Indian nations after they were forcibly removed from the southeast during the mid-19th century. The earliest Jews in Oklahoma were peddlers who traded with the native tribes. Beauregard “Boggy” Johnson moved to Boggy Depot, the end of a stagecoach line in Atoka County, by 1865, setting up a business trading with Indians in the area. Johnson later married a Chickasaw woman. A few other early Jewish peddlers in the Oklahoma Indian Territory also married Native American women since it was the only way for them to acquire property on Indian lands. Other early Jewish settlers included Joseph Sondheimer, who got his start in Oklahoma supplying Fort Gibson for the Union Army during the Civil War. After the war, Sondheimer transformed his warehouse into a fur and hide trading depot, around which the town of Muskogee eventually grew. A small number of Jewish families settled in Ardmore in the 1880s after the growing town had been linked by the Missouri, Kansas, and Texas Railroad. White settlement in Oklahoma did not begin in earnest until the great land run of 1889, which drew pioneers and enterprising individuals looking for free homesteads. A handful of Jews were among those who set out at noon on April 22, 1889, scrambling for desirable land. One of these land runners was Moses Weinberger, a Hungarian-native who came to Oklahoma from neighboring Kansas. As he was standing in line with hundreds of others to formalize their claims at the territory’s official land office in Guthrie, Weinberger got the idea to have a large shipment of bananas sent from Wichita, which he proceeded to sell to hungry land runners. From this modest start as a fruit peddler, Weinberger later opened Guthrie’s first legal saloon, becoming one of the territorial capital’s most prominent merchants. The first Jewish congregation in Oklahoma was established in Ardmore in 1890, which remained active for over a century. Later, Jews founded congregations in Oklahoma City (1903), Guthrie (1906), Enid (1909), Muskogee (1910), Tulsa (1914), Chickasha (1915), Hartshorne (1916), and Sapulpa (1916). With the exception of Oklahoma City, Muskogee, and Tulsa, each of which had two congregations, these other small town congregations were all short-lived. During the late 19th and early 20th centuries, Jews had settled in small towns throughout Oklahoma, usually opening retail stores. In Ardmore, Sam Daube and Max Westheimer established a department store in 1888 that soon became the largest mercantile operation in the city. Jake Katz opened a department store in Stillwater in 1896. His brothers later opened branches of the store in Pawnee, Sapulpa, and Ada. Both the Ada and Stillwater stores remained in business for many decades. The Froug and Smulian families moved to Oklahoma in 1898 and later established a chain of The Leader Stores in the Oklahoma oil field towns of Stroud, Sapulpa, Bristow, Prague, Shawnee, Seminole, and Chandler. In Chickasha, cousins Charles Miller and Ben Levine opened the Dixie Store in 1919, which remained a downtown fixture until it closed in 1994. Sam and Sadie Lee opened a men’s wear store in Ponca City in 1914, which was continued by their son Nathan until he closed it in 1998. 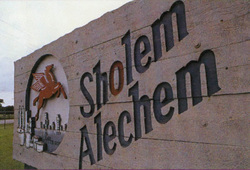 Sign marking the Sholem Alechem oil field outside Ardmore. Brothers Max and Harry Madansky came to Tulsa from Illinois in 1908 and established a men’s clothing store. Their parents and other siblings soon moved to Oklahoma, opening branches of the business in Bartlesville, Muskogee, and Oklahoma City. In 1921, amidst a national wave of nativism that reached Oklahoma, the family decided to change their name to May. They took out a newspaper ad explaining that the change was “the final step to prove ourselves wholly American in every sense of the word. We have eliminated those parts of the name Madansky that are of foreign origin. We wish to forever renounce the name that reminds us of our foreign birth.” Despite this nativist climate, Jewish immigrants continued to thrive in Oklahoma. German-born Sam Renberg moved to Tulsa from Enid in 1913 and opened a clothing store, which grew into a local institution. Brothers Sam, Maurice, and Herman Sanditen left Lithuania and eventually settled in Okmulgee. After starting in the scrap metal business, the brothers opened an automobile supply store in 1918. Known as Oklahoma Tire & Supply Company, or OTASCO, the business eventually grew into a regional chain with over 100 locations across Oklahoma, Kansas, Missouri, and Arkansas. Sylvan Goldman moved to Tulsa from Ardmore in 1920 and opened the city’s first supermarket grocery store. Working with his brother Alfred, they opened 21 Sun Grocery Markets across Oklahoma by 1921. Sylvan Goldman later achieved notoriety and lasting wealth when he invented the shopping cart in 1936. Oklahoma and its Jewish community were both transformed by the discovery of oil in the early 20th century. Many Jews were drawn to the scrap metal business, which in Oklahoma usually meant they bought old oil drilling equipment and pipes and then resold them to new prospectors. Several Jews transformed successful scrap metal businesses into oil drilling companies. Sam Miller started an oil field scrap metal business in Tulsa in 1916. By 1930, he had become a “wildcatter,” prospecting for oil in the area. After striking oil, Miller became a major philanthropist, supporting Jewish institutions across the country. Meyer Moran started a scrap metal business in Maud that thrived once oil was discovered in nearby Seminole. After his son Melvin joined the business, they branched out into oil exploration and production. Some Oklahoma Jews amassed tremendous wealth in the oil business. David Schonwald was the founder of the Blackwell Oil and Gas Company and later became president of the First National Bank of Oklahoma City. Sam and David Rabinowitz, who later changed their last name to Travis, got rich in the oil business and built twin Italian revival mansions on adjoining lots in Tulsa. Perhaps the best symbol of the close involvement of Jews in the oil business in Oklahoma is the “Sholem Alechem Oil Field,” whose name locals often wrongly assume is of Indian origin. In reality, the name came from William Krohn, the Jewish editor of the Ardmore newspaper, who often used the Yiddish phrase of greeting, which literally means “peace unto you.” Together with a group of local oilmen, Krohn organized a fraternal society known as the Sholem Alechem club. One night in 1923, Krohn received word that oil had been struck in the nearby town of Velma, and he trumpeted the discovery in his newspaper. The drillers decided to call the site of their well the Sholem Alechem oil field, after the editor who was such a booster of their efforts. The oil boom helped lead Jews to establish new congregations in Okmulgee (1923), McAlester (1934), Seminole (1946), and Ponca City (1962). 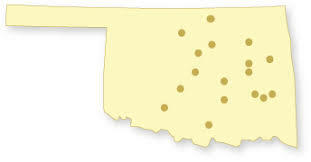 By 1937, 7,300 Jews lived in Oklahoma, with over two-thirds residing in either Tulsa or Oklahoma City and the remaining population scattered in smaller cities and towns, primarily in the eastern half of the state. courtesy of the Museum of the Great Plains. Jews have long been active in Oklahoma politics. A number of Jews were involved in the territorial government. In Enid, Joseph Meibergen won election as mayor in 1897, serving two terms. When early drafts of Oklahoma’s state constitution referred to Jesus, a group of Enid Jews successfully petitioned the constitutional convention to eliminate the references. Leo Meyer was appointed Assistant Secretary of State in 1907, the same year Oklahoma became a state. Meyer would arouse controversy in the state capital of Guthrie over his support for moving the capital to Oklahoma City in 1910. Despite this, Meyer was elected as State Auditor in 1910. The Guthrie newspaper, still bitter about losing the state capital to Oklahoma City, resorted to anti-Semitic attacks, running a front-page banner headline announcing that “Shylocks of Oklahoma City Have State by the Throat,” and the sub-header promised to reveal the “Unparalleled Conspiracy on the Part of Jews and Gentiles of a Rotten Town to Loot the State for Twenty-Five Years.” The article claimed that prominent Jewish businessmen in Oklahoma City had conspired to move the capital. Rabbi Joseph Blatt of Temple B’nai Israel in Oklahoma City wrote powerfully in response to the newspaper’s slander, declaring that the article was a lie and “a disgrace to the civilization of our state.” Despite this anti-Semitic episode, Jews remained active in civic life. Louis Fischl was elected to the state House of Representatives from Ardmore in 1928. Four years later, he was elected to the state senate and authored a bill that created Oklahoma’s first state park. Jews have also served as mayors of such towns as Cordell, Perry, Sayre, and Seminole. Those Oklahoma Jews who succeeded in business have made a significant contribution to the state through their philanthropy. In Lawton, Morris Simpson owned a dry goods store as well as oil and cattle interests. In 1904, he donated 178 volumes to the newly-opened Carnegie Library in Lawton. Simpson also financed many students at the local college. Simpson’s devotion to the military was instrumental in making Fort Sill the permanent home of the Field Artillery School in 1911. 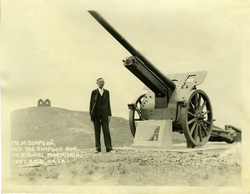 In 1929, Simpson arranged for a captured German artillery gun to be dedicated as a memorial to Fort Sill’s fallen World War I soldiers. The Neustadt family of Ardmore used their oil wealth to establish a celebrated literary prize for foreign writers as well as a new wing of the library at Oklahoma University. In Seminole, Melvin and Jasmine Moran built a world-class children’s museum, which draws tens of thousands of visitors to the small town each year. 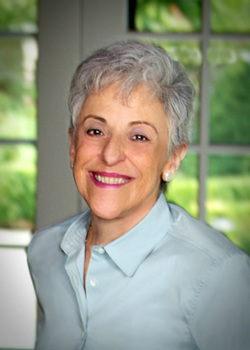 In Muskogee, Miriam Freedman directs the Kirschner Foundation, named for her stepfather, which supports various local projects and causes. In Tulsa, Jewish oil families have had an impact on both the state and the Jewish world. Brothers Henry and Jack Zarrow built Sooner Pipe and Supply, before selling the business in 1998 to focus on philanthropy. The Maxine and Jack Zarrow Family Foundation supported most of Tulsa’s Jewish institutions while also giving generously to many civic and charitable causes in the city. The Henry and Ann Zarrow Foundation established a college scholarship program for Tulsa students, while also funding a day center for the homeless and the local food bank. Charles Schusterman started the Samson Investment Company in 1971, which worked in natural gas and oil production. In 1987, he and his wife Lynne created a charitable foundation. The Charles and Lynn Schusterman Foundation gives 75% of its donations to Jewish causes, many in Israel, while also supporting local charities, such as Oklahoma University-Tulsa. In 1969, George Kaiser took over the Kaiser-Francis Oil Company, which had been started by his father and uncle. Kaiser expanded into banking in 1990 when he bought the Bank of Oklahoma, becoming one of the wealthiest people in the United States. According to a 2008 study in Businessweek Magazine, Kaiser was the third largest philanthropist in the country. His George Kaiser Family Foundation is focused on fighting childhood poverty and supporting early childhood education. Research for this portion of the encyclopedia was completed with support from the Oklahoma Humanities Council.